Our beloved local beach, Dawlish Warren, has been awarded the prestigious Blue Flag for another year! When it comes to hotels in Devon, we’re in the perfect location for all the going-on and top spots. Being recognised in 2019 means that locals and visitors can celebrate 21 consecutive years of 1.5-mile stretch being a Blue Flag beach – and in case you didn’t know, the internationally renowned ‘European Blue Flag’ Award is only awarded to a select few beaches that pass the very strict and particular criteria. It’s no easy task! 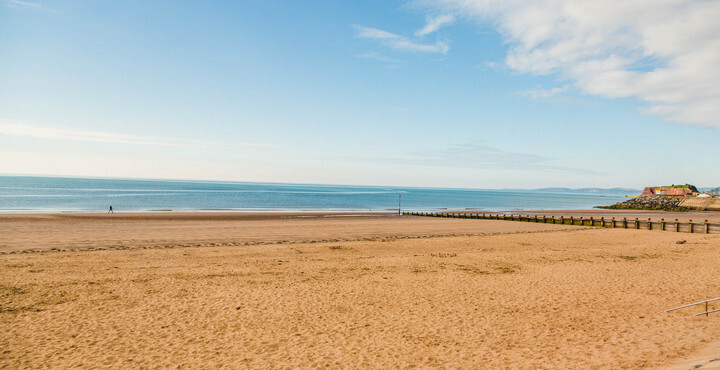 Dawlish Warren is the perfect location for families, couples and solo explorers. Dogs are welcome up to Groyne 9 and there’s plenty to do, including surfing, family fun, arcades, amusements, swimming, games and visits to our very own Nature Reserve and information about our Conservation efforts. The beach is backed by sand dunes which is a rarity nowadays, and the Nature Reserve is an unusual and welcome touch when compared to other beach resorts. During the warmer weather it’s even been known to host open-air events, fireworks and children’s fun and games. It’s no surprise that the beach has a soft spot in not only locals’ hearts, but in the hearts of visitors too. It is an easy walk from the hotel grounds to the beach at Dawlish Warren. Just walk past the outdoor heated swimming pool and newly refurbished Tennis Court through the gate and turn left, there is a footbridge on the right to the sea wall after about 300 meters and a road bridge, with level access, a couple of hundred metres further on. You can see what other beaches made the list here. The full criteria is certainly a lengthy read at 43 pages, but if you are interested to see how much work goes into becoming a Blue Flag beach, you can click here to read the criteria in full. To stay at one of the most welcoming hotels in Devon, check availability online today.